Top-of-the-range smartphones are what usually get the most attention, although a large part of the population has a middle-of-the-range mobile. 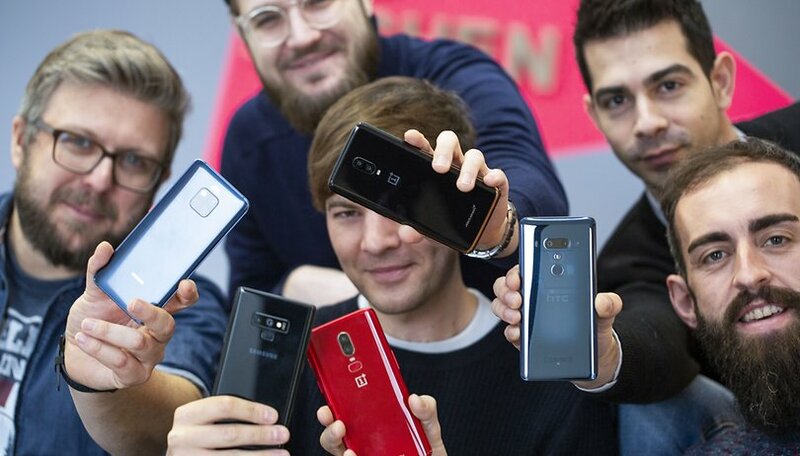 That's why we're asking today what's your favorite mid-priced smartphone in 2019? Which one would you buy this year? Every day, mid-range mobiles are less so middle of the road, as their specifications are closer to each manufacturer's flagships, with features such as a triple rear camera or a hole in the display. That's why they are a good alternative to buy with your own money, due to their good technical specs and a price that ranges between $200 and $400 (ish). This year comes loaded with smartphones of this category and they are more than interesting. This is the case with Samsung, which has completely renewed its Galaxy A family, with the arrival of the A30, A50, A70 (for the moment). Xiaomi is one of the stars in this section, with a multitude of devices in this range, such as the Redmi Note 7 that has surprised everyone, or the imminent Mi A3, successor to one of the great winners of 2018. We also highlight the proposals of Huawei with its P Smart and Nova 4, as well as Nokia with its 8.1 and X71 that has little to envy to the Nokia 9 PureView. And we cannot forget LG, Honor, Sony and Motorola, which are also part of the vote. Let us know what you think by taking part in this week's poll below. What is the best mid-range smartphone you can buy in 2019? I just bought the moto g7 power and the battery is insanely good. Snappy phone too. Camera is meh but when you consider the price this thing is amazing. Don't know about the g7 but voted for it as I just got a g6 for a friend in need and played around with it a bit while sitting up for her and for $180 it was a MUCH better phone than I expected it to be. Nice job Moto! How hard was it to get it working on your network? My cell provider has had a bad time with them, but I've really been wanting to try some of the Xiaomi phones. I personally think a year or 2 year old flagship model is the best midrange phone. The Galaxy Note 8 is currently about $500 bucks, best midrange price phone out in my humble opinion. In my opinion Nokia is the mid range brand to watch. The phones they're releasing are pretty compelling for the price and features they have. Now if they could bring out a 4G LTE version of the e71 that would be awesome since there still are users who want a physical keyboard. Blackberry has shown that with their Key and Key2 releases. I miss my Palm phone and might consider one that would work on my carrier which the blackberry key series didn't do.